Dr. Altarriba holds a bachelor’s degree from Florida International University and master’s and doctoral degrees in cognitive psychology from Vanderbilt University. Following a postdoctoral research fellowship at the University of Massachusetts-Amherst, she joined the University at Albany where she is currently a Professor of Psychology and a Collins Fellow. She is an internationally recognized scholar in the areas of bilingualism, memory, and emotion, and she has published more than 70 peer-reviewed articles in her field. Countless students have benefited from her guidance and support in the classroom, in the laboratory, on the job market, and beyond. Dr. Altarriba’s professional achievements in research and teaching are particularly remarkable given her extensive service profile and contributions to the institution. In addition to serving on numerous University councils and committees, she has served in major leadership roles as Chair of Psychology, Chair of Communication, Associate Dean for the College of Arts and Sciences, and since 2013, as Vice Provost and Dean for Undergraduate Education. Undergraduate advisement, Living-Learning Communities, the Writing and Critical Inquiry Program, the Center for Undergraduate Research, and the Honors College have all grown and flourished under her stewardship. Her impact is reflected in the many recognitions she has received from student groups and in receiving both campus and SUNY awards for excellence in teaching and in faculty service. Dr. Miguel C. Alonso, a lifelong resident of New York City and product of the SUNY system, earned a BA in Latin American Studies at the State University of New York at Albany and a Ph.d at Stony Brook University specializing in Latin American and Latino/a history. 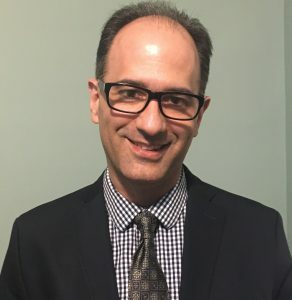 Since 1999, Dr. Alonso has been a faculty member at Nassau Community College in Garden City, NY and is currently the Chair of the Department of History, Political Science and Geography. At Nassau Community College, Dr. Alonso was a co-founder and former Coordinator of the Latin American/Latino/a Studies Project and the ASPIRES program for students on the autism spectrum. In addition, Dr. Alonso has also been a frequent presenter on the use of Universal Design in the college classroom as a way to effectively serve diverse student populations and most recently has authored The Development of Yoruba Candomble Communities in Salvador, Bahia 1835-1986 published as part of Palgrave MacMillan’s Afro-Latin@ Diaspora series. Alfredo D. Balarin was born in New York City to Peruvian immigrant parents and he moved to the Capital District to attend college. He received his Bachelor’s degree in Political Science and his Master’s degree in Education Administration from the State University at Albany. Mr. Balarin currently works at Hudson Valley Community College as Assistant Director of Student Life. Before joining HVCC he served as Program Director for the North Albany YMCA. He believes that success comes from a combination of personal determination and self-sacrifice with a strong support system that allows you to reach your ambitions. Mr. Balarin’s commitment to youth development has been a part of his career from day one and he continues to be an advocate for families within his community. In November of 2017, he was the first Latino elected to the City of Albany Common Council and is currently serving his first term. Liz holds a Bachelors and Master degree from New York Institute of Technology. She began her career at SUNY Nassau Community College as an Admissions Counselor in 1994. As an Admissions Counselor, she work with various community agencies to educate students in the Latino community the pathways to earning a college degree. Her work with the community earned her the award of Educator of the Year in 1998. While at Nassau Community College, she has volunteer in various student services outreach programs, which supported her SUNY Chancellor’s in Professional Service Award in 2005. Liz currently works at NCC as the Associate Registrar and part-time Academic advisor. 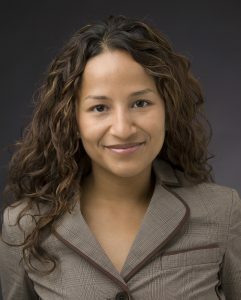 She continues her student service support as the Advisor to the Student Organization of Latinos. 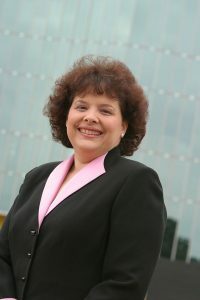 Marla Lujan, assistant professor of nutritional science. Dr. Marla Lujan is an Assistant Professor of Human Nutrition in the College of Agriculture and Life Sciences at Cornell University. She received her Master of Science and Doctor of Philosophy in Physiology from Queen’s University (Kingston, Ontario) and conducted her postdoctoral studies in Obstetrics, Gynecology and Reproductive Sciences at the University of Saskatchewan (Saskatoon, Saskatchewan) with fellowship awards from the Saskatchewan Health Research Foundation and Canadian Institutes of Health Research. Using high-resolution ovarian ultrasonography, her group investigates the link between nutrition, metabolism and folliculogenesis in women. Specific interests include characterizing determinants of impaired folliculogenesis in amenorrheic women across the adiposity spectrum as well as improving the sonographic evaluation and diagnosis of anovulatory disorders including, polycystic ovary syndrome (PCOS). Her contributions as an early-stage investigator have been recognized by awards from The Endocrine Society, American Society of Reproductive Medicine and Society for the Study of Reproduction. Alfredo Medina, Jr. directs the Office for Public Engagement, overseeing all matters and activities related to public engagement. 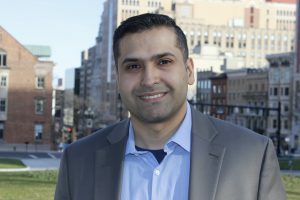 Medina joined the University at Albany in February 2015 as special adviser for educational engagement at the Capital South Campus Center (CSCC). As special adviser, Medina recruited and coordinated UAlbany expertise across disciplinary units to build a base of integrated support and input for immediate priorities and longer-term needs for CSCC. Prior to joining UAlbany, Medina was associate vice president for academic affairs, risk management and compliance at Siena College, where he also served in leadership roles in sponsored programs and government and foundation relations. 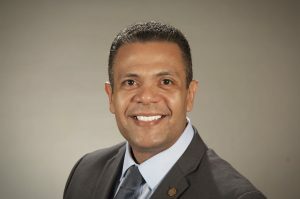 In addition, he gained extensive experience in the nonprofit sector at the grassroots and executive level for agencies such as the New York Council of Nonprofits, Inc. and the Urban League of Northeastern New York, Inc.
Medina has spearheaded numerous coalition-building initiatives with public and private institutions to strengthen higher education access and partnerships. Due to his success, Medina has been recognized for his work as a 40 Under Forty Award recipient by the Albany Business Review, 40 Under Forty Rising Latino Star recipient by the Hispanic Coalition of New York, and the Excelsior Award by the Albany Latin Festival Association. Medina holds an undergraduate degree in psychology from Utica College of Syracuse University (1994), and Master of Science Degrees from the University at Albany in Educational Psychology and Statistics (1997) and Educational Administration and Policy Studies (2017). In addition, he earned a certificate in the Management Development Program (2010) from the Harvard Graduate School of Education. Medina is currently a doctoral student in the Department of Educational Policy & Leadership at UAlbany. Dr. Melendez is an Empire Innovation Professor and Associate Head of the Nanobioscience Constellation at the SUNY Polytechnic Colleges of Nanoscale Science & Engineering. He earned his B. Sc. in Marine Science & Biology at the University of Tampa which was followed by an M. Sc. in Biomedical Sciences at the College of Veterinary Medicine of Virginia Polytechnic Institute and State University where he was indoctrinated into the field of free radical biology. He then transitioned to the State University of New York at Albany where he received a Ph. D. in molecular biology. He completed Post-doctoral training at Georgetown University and Albany Medical College where he studied inflammatory processes that accompany oxygen toxicity and post-partum uterine involution, respectively. In 1997 he was one of the first recipients of an NCI Mentored Career Development Award to Promote Diversity. He rose through the ranks at Albany Medical College where he developed a program directed at understanding the free radical signals that control metastatic disease progression, aging and infectious disease processes and has remained continuously funded by both private and federal funding agencies. He continues his work on free radical signaling and degenerative disease with over 60 publications in the field. He is an Associate Editor of the bionanoscience section of the Journal of Experimental Medicine and on the Editorial Board of Free Radical Biology & Medicine and FASEB Journal. Dr. Melendez has received numerous awards and has served on many review and advisory boards for the government, academic institutions, scientific societies and industry. 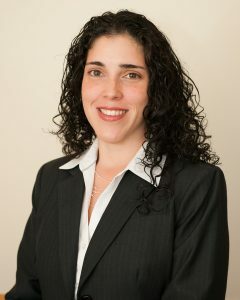 Genette Alvarez-Ortiz is the Acting Dean of General Education and Social Sciences at Nassau Community College (NCC). She oversees the education of students enrolled in the Social Sciences programs with overall supervisory responsibility for the academic, fiscal, and personnel affairs of these departments. She began her career at NCC in 1994 as a financial aid counselor and later became an educational counselor in the Student Personnel Services Department. In 2010, Genette was elected as Chairperson where she served in the role until 2017 when she began her current role. Ms. Alvarez-Ortiz earned both her Bachelors and Masters degrees at New York University School of Education and is currently pursuing a doctoral degree in the Instructional Leadership Ed.D Program at St. John’s University. Phillip Ortiz serves as Assistant Provost for Undergraduate and STEM Education, and Coordinator of the Empire State STEM Learning Network. He has led or co-led several large externally funded projects including two from the National Science Foundation for $3M and $300K, $1M from the District Attorney of New York and $200K (pending) from the Mellon Foundation, and leads the cross-campus SUNY Undergraduate Research Conference. Prior to joining SUNY-System Administration, Dr. Ortiz was faculty at SUNY-Empire State College (12 years) and Skidmore College (8 years), and had many leadership roles including as chair of the ESC Senate. 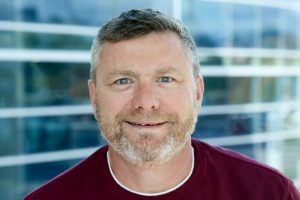 His academic background includes bachelor degrees in Biology and Philosophy, a doctorate in Physiology and Biophysics, and postdoctoral study at the National Institutes of Health. He has served in leadership positions with the American Society for Biochemistry and Molecular Biology, the Annual Biomedical Research Conference for Minority Students, and the Society for the Advancement of Chicanos and Native Americans in Science (SACNAS), among others. 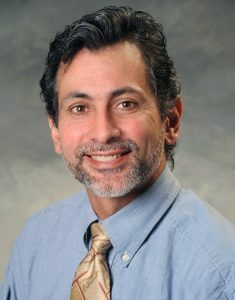 In addition to his present role within SUNY, Dr. Ortiz is the Editor-in-Chief of Biochemistry and Molecular Biology Education, an international discipline-based education research journal. He is the recipient of a number of awards including the Skidmore President’s Award, SACNAS Outstanding Mentor Award, Chugh/University Faculty Senate Outstanding Service Award, and SUNY Chancellor’s Award for Service. Dr Carmen S. Rivera received a Bachelor of Arts from University of Puerto Rico, and her Ph.D. from University of South Carolina. She came to SUNY Fredonia as chair of Modern Languages and Literatures in 2006. In 2015, she became Associate Dean of the College of Liberal Arts and Sciences. Rivera chaired a committee that developed a comprehensive internationalization plan now fully implemented! She also co-chaired a system-wide committee that developed a proposal for a SUNY Language Alliance. As director of Interdisciplinary Studies, she is leading a total reorganization of the programs. 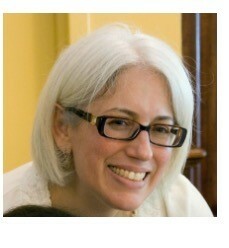 Rivera teaches Spanish and Latino Studies and has published on Latino and Puerto Rican literature. 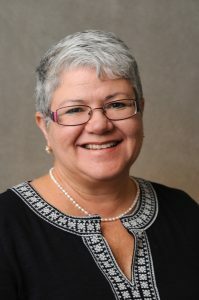 Mrs. Janice Rivera has worked at Farmingdale State College (FSC) since 2005 and currently serves as Executive Director of the department of Academic Support and Access Programs. In this role, she oversees multiple State and grant funded programs that collectively serve over 1600 students within FSC and local secondary school districts. Having previously served as the director for many of the programs she now oversees through her previous roles at FSC and employment at other SUNY campuses and NYC non-profit organizations, she is well-versed in program management and service provision for students. She has successfully developed new programs that have increased retention, improved program quality, secured additional grant funding, enhanced program assessment procedures and increased collaboration amongst programs. As a first generation college graduate of Puerto Rican descent who was born and raised in the South Bronx, Mrs. Rivera has dedicated her career to serving underrepresented students for over 20 years. She has worked with thousands of students and parents to help insure that they have the knowledge, resources, and confidence to successfully pursue the dream of attaining a college education. 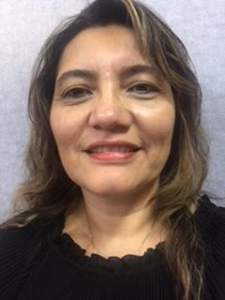 Mrs. Rivera attended the State University of New York at Albany where she earned a Bachelor of Arts degree in Psychology and a Master of Science degree in Counseling Psychology.